So recently I had been looking into buying a new foundation but had NO idea what to get, there's just so many hyped up foundations rotating over social media that it gets really confusing. I decided to purchase the Too Faced Born This Way foundation as it has tonnes of amazing reviews, especially from those with tanner skin like myself. It was Ramadhan so I couldn't be bothered to go all the way to town and get shade matched so I took my chances and guessed (please don't do this LOL). The worst bit was that it arrived on Eid day when I wanted to wear it, but thankfully 'Warm Beige' was a perfect match for me (about NC35 for reference). It has just the right amount of peachiness for my summer tan. This foundation retails at £29 at Debenhams where I purchased it from. The packaging is so cute yet feels very durable as most Too Faced products feel. You get a standard 30ml of foundation which typically lasts me well over 6 months. And I completely agree. 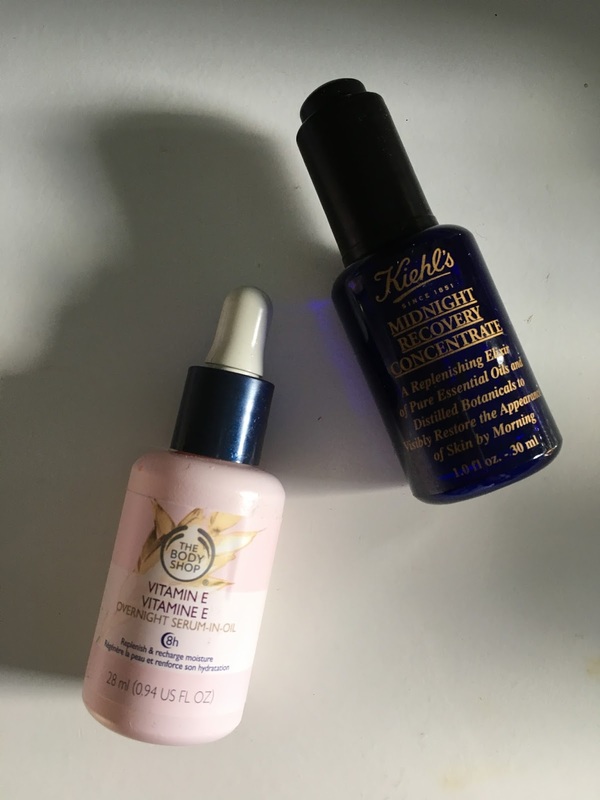 It's a semi- matte making it perfect for all skin types, but it makes my skin immediately look radiant which I hadn't found with other foundations unless they were dewy. One pump is more than enough to get a medium coverage, but it can be built up without looking or feeling cakey. It almost feels like a CC cream when blended out with a Beauty Blender. This foundation lasted on my skin flawlessly for the whole of Eid day which was about 12 hours. The Mario Badescu Drying Lotion retails at £12.50 on Beauty Bay for a 29ml bottle. Dip a cotton swab into pink sediment. Dab on pimple and let dry. Wash off solution in the morning. Remember not to dip the same cotton bud into the bottle more than once as you want to avoid cross contamination. I've been using this for a few weeks now and I've found that this product won't completely get rid of a spot overnight, but it will reduce it significantly. After a couple of uses they do nearly disappear but results will vary from person to person. If you suffer from acne, this might not be the answer for you I'm afraid as I think it's better suited to those who had the occasional spot here and there or rarely have small breakout like myself. I don't use it every night as I think it can get a little harsh on your skin, but it's fine to use a few times a week. One thing I wasn't a huge fan of is how much is dried out my skin in general... For some odd reason it effected the whole of my face rather than just drying out the spots. I'm not too bothered by it though as I'd take that over having spots, but it is a little con. The price is also pretty reasonably as this little bottle will last you ages! A little goes a long way. Skincare is so important to me now that I realise how much of a difference a flawless base makes to your makeup, and in general of course. I recently posted my morning skincare routine and was then requested to do my night time routine too. I've reviewed all the bits below in order of use. An infamous dupe for the Bioderma water cleanser, renowned for the incredible quality and price! I absolutely love this product for gently cleansing my skin with a few cotton pads, it's quick and works so well to remove all makeup and dirt. I prefer using this cleanser at night rather than washing my face when I'm not wearing makeup. It retails at around £4 at Boots for a 400ml bottle but is usually on sale. You can also get a travel size of it for around £1 which I always take if I'm travelling. It's a definite must have. An extremely gentle, foaming gel designed to maintain the skins moisture balance. I prefer using this when I'm wearing makeup as it removes it all so effortlessly. I use a pea sized amount of this with my Clarisonic (reviewed under Skincare) and literally no dirt comes off my face when I tone, it's amazing and I'll be trying more Dermalogica products soon to review for you all. It retails at £28 on Feel Unique for 250ml. They also retail at Selfridges and Debenhams. I only use this occasionally at night as I don't find it necessary (do correct me if I should be) but I always use this in my morning and it really helps to hydrate my skin alongside the other products. I only use a little on one or two cotton pads all over my face and neck and my skin looks and feels super clean. This retails at £9.50 and is a God send for those with dry skin. I'd really recommend this to anyone who has an uneven skin tone and/ or wants to grow their lashes and brows. Give it a few weeks and you'll see a big difference. I use a standard KTC one as all you need is pure oil, you can get a decent sized bottle of it for no more than £4/£5 which will last you ages. I absolutely love using this oil as an overnight mask on my whole face including eyelashes and eyebrows a couple times a week. Not only has it helped to reduce the appearance of my dark circles and hyperpigmentation but has also made my eyelashes grow so much! They're a lot longer and I no longer would consider getting extensions. My eyebrows are also thicker and are therefore easier to fill in and without makeup on they still look full and in shape. Remember to only apply a thin layer as too much can clog up your skin. I've had this product for a few months now and I really do love it. I use a few drops of it once a week and it's made my skin noticeably radiant and healthier. I particularly love this product during colder months as my skin gets drier as this serum retains the moisture in my skin. It's a cult favourite and I knew I'd love it. It retails at £37 for a 30ml bottle and £49 for a 50ml bottle. I personally think the 30ml bottle is enogugh as you only need a few drops at one time. It's extremely potent so using too much could actually cause detriment to your skin. A rich moisturiser which melts into your skin effortlessly. I'd only recommend this for girls with dry skin. I use this on days where I don't use the oil or serum, I very rarely use small amounts of them together. I use a pea sized amount as it's very thick so a little goes a long way and I wake up to plumper and extremely hydrated skin. It's quite gentle on your skin, the formula doesn't feel potent at all and I love that about this cream as some can be very harsh such as by Murad. This retails for around £7 at Boots and Superdrug. This is the post which I was most reluctant to write about, but always felt like I wanted and needed to do it. It's a very personal part of my life but if it could help even one girl it's worth it. PCOS (Polycystic Ovary Syndrome) is a condition which can cause irregular periods, excess androgen (male hormones) and cysts in your ovaries. It's extremely common and affects about 1 in 5 women in the UK. I found out that I had this condition when I was 13 and have dealt with the side effects everyday and will for the rest of my life. It can be anywhere from very mild where women don't even find out they have it, to having extreme and tedious effects on your daily life. I've personally dealt with all of these symptoms and they've been quite aggresive (apart from trying to get pregnant) and I know a lot of other girls do too. It's difficult on a daily basis but with time and experience you learn about different techniques and ways in general to help lessen these symptoms and make life easier. I could give one piece of advice it would be NOT to shave. Anything. It's something I say to girls even without the condition as it's just asking for thicker, faster growing hair, with PCOS it's just a disaster. Waxing is the best option for your body and threading is the best option for your face. I sometimes pluck annoying hairs but otherwise I stick to these. I completely understand wanting to shave as it's painless and quick but you'll regret it within a few years. Laser hair removal is also highly recommended by any Doctor or Consultant and I'll be going for sessions soon (will update for girls who want it). It's a really good option for those suffering with this condition as you go for about 8 sessions (depending on the thickness and amount of hair) and the hair won't come back anywhere near as fast or thick. The only con to LHR is how costly it is, but you can get it funded through the NHS if you can convince your consultant to put you on the waiting list (I'm getting it done privately as it's a quicker process). I've never been petite or naturally thin, but I haven't ever been big either. In the past few years (with a mixture of huge stress) I've put on a considerable amount of weight and it's something I was really unhappy about. I never ate a significant amount of unhealthy food/drinks and remained remotely active (with uni etc) so I know it wasn't so much my lifestyle. I went from a size 8/10 to a 12/14 and I hated my body to say the least. To help, I've been eating really healthily and have been going to the gym every day for at least an hour and I've swapped all junk food for fruit and healthy snacks. Plus I only drink water and a lot of it. I make sure to still eat a bit of everything but in moderation and smaller portions. It makes a big difference and you'll see results within a month. I wouldn't ever recommend going on a diet or trying to lose a lot of weight quickly as it's unhealthy and you'll probably put it back on quick. It's much better to change your lifestyle into a healthier, more active one. I haven't really had acne but lately I've been getting a few breakouts and it's just so annoying as it's probably the only symptom I hadn't dealt with. The spots I get are small so aren't that noticeable but are definitely there. The way I've dealt with them is just by maintaining my skincare routine (post is up), doing masks every 3 days and ensuring that I'm gentle with my skin and not touching it. It's important to give time for your skin to heal so I'm not trying to rush anything. 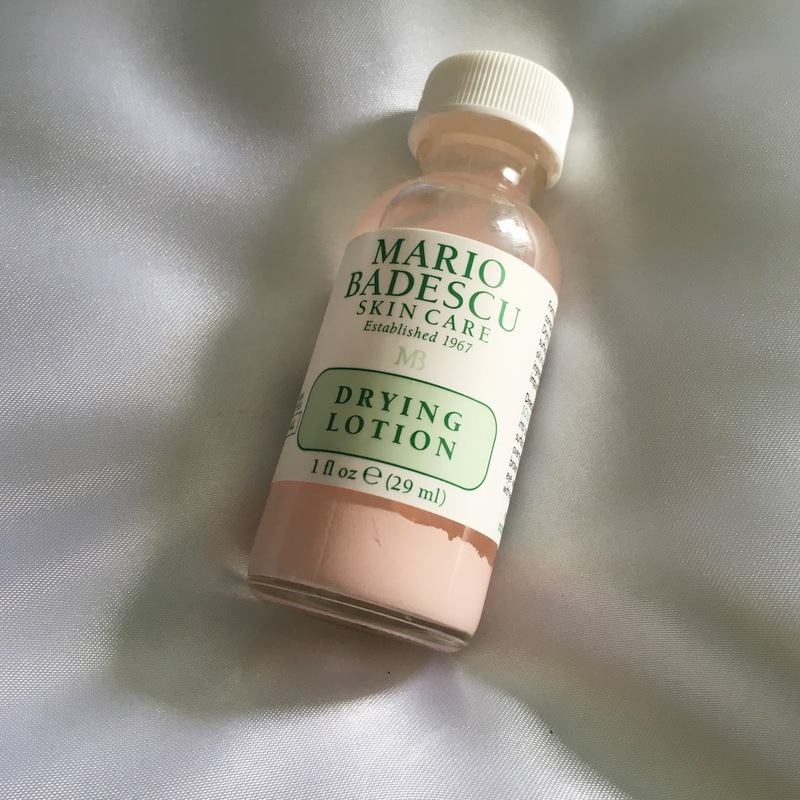 I've also been using the Mario Badescu Drying Lotion which is a cult favourite and is recommend for surface blemishes. I use it on more prominent spots and it's definitely helped to reduce them, it doesn't get rid of them though. A friend of mine has dealt with acne because of her PCOS and was given a solution by her doctor to help to reduce them and lighten her dark spots and it's actually made a difference. So if it is something you're having trouble with, speak to your doctor and hopefully they can prescribe you with something suited to you. Mine have been, for a long time. I'm not going into much depth as it is very personal so if you want to know more just message me and we can talk about it :) Ways to help irregular periods is pretty much just being healthy and exercising more. It really helped me but everyone is different so speak to your doctor/ consultant and they should be able to advise you on what will be most effective in your situation. My hair is naturally thin so this didn't help, once again lol but using oils and avoiding heat damage always helps! I use coconut or mustard oil in hair at least once a week and it has really helped to strengthen my hair. I also don't use as much heat anymore, and don't use any if I don't go out. You can also take vitamins to help strengthen hair which I take everyday, they work too. I'm not familiar with this because I've never tried to get pregnant, but if you are just speak to your doctor about it and they'll be able to help. The usual waiting time before you can speak to a doctor regarding getting pregnant is about 2 years but if you have PCOS it's only about 6 months as the cysts in our ovaries can cause complications. IVF and other procedures are options so never be disheartened. If you aren't trying to get pregnant but want to in the future and are concerned about it like me, relax and know that you won't know if there are any complications until you're in a position where you're trying for a baby. You could get pregnant quicker than someone without the condition so don't be alarmed unless your doctor has spoken to you specifically about it. Having all or even one of these symptoms isn't easy to live with. It's actually really difficult and can make you feel so depressed sometimes. There was a point in my life where I felt like I really couldn't deal with this all and wanted to lock myself away. But as I've got older I've understood just to face it and learn how to work around it as I know I'll have to for the rest of my life. Blogging is something I started doing to get my mind off not only this, but other stress I had in my life too. You can always take something good out of a bad situation. Pick up some hobbies and invest your time into them when you're not at college/ uni or work. There's also hundreds of support groups and websites which you can join/ speak on with loads of other women suffering with PCOS and sometimes speaking to someone dealing with the same issue can really remind you that you aren't alone. Counselling is really helpful if you want to speak to someone out of your circle, always ask for support if you need it. © Aaraishh. Design by MangoBlogs.